Welcome to our lesson for Sept 17, The Exodus, found in Exodus 11:1-15:21. The Godly Play script is in the yellow (Fall) book, p. 65-72. When we left Moses last week, he was getting ready to go with Aaron to speak to the Pharaoh and to do what God told him to do: set the people free. Would he have the courage? Would God help him? How would it all play out? This week we get to celebrate the answers to these questions. I would suggest telling the story as the script describes, and then, when Moses enters the scene, recap last week’s story before moving on, so that children can connect the two stories. If you’re up for it, you might want to consider celebrating the story with an exploration of the seder meal, as described below. If you’re not up for that, I’ll have matzo for each classroom for the children to try. 1. I wonder what part of the story you like the best. 2. I wonder what part is the most important. 3. I wonder if you were one of God’s people, how you might have felt when the Pharaoh set you free to follow Moses. 4. I wonder what you might have felt as you saw the sea part and a path emerge. 5. I wonder what part of this part of this story is about you, or what God is teaching you about Himself in this story. 1. Children could recreate the story scene of the crossing of the Red Sea. Let children decide how they want to recreate this. They could make the pieces of the story- like the chain, the felt water that can be parted, the people, etc. There’s an amazing example here. Take a look! I’ll have blue paper and felt. 2. 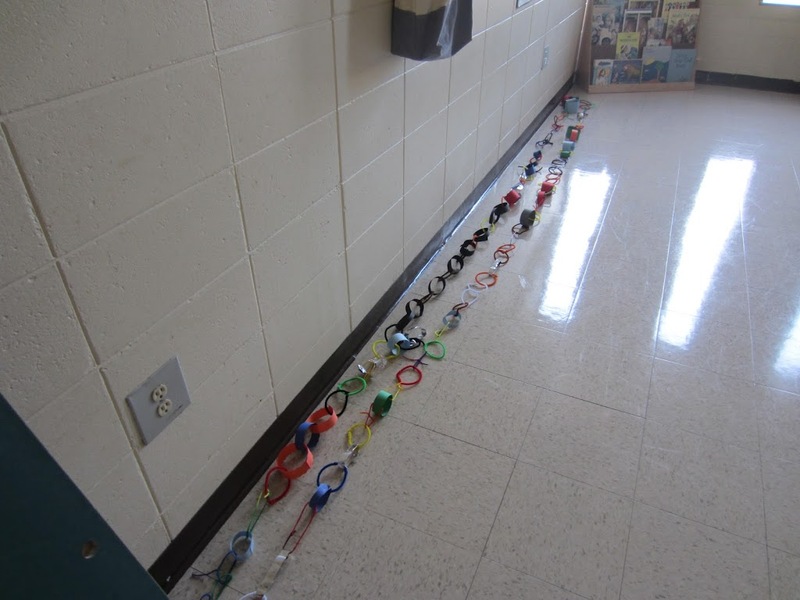 Children could work together to create a long chain, symbolizing the slavery the people of God had to be freed from. Here’s a pic of last years chain from 2nd grade. 3.This would be a perfect time for the children to celebrate the seder meal. We did this in VBS a few summers ago and the children might remember enough to teach you about it! Just bring me a clean receipt and I’ll be glad to reimburse you. The meal is so full of meaning, all centered around this story. Here’s a guide with a simple explanation. This allows our children to experience the Passover in a small way. 4. 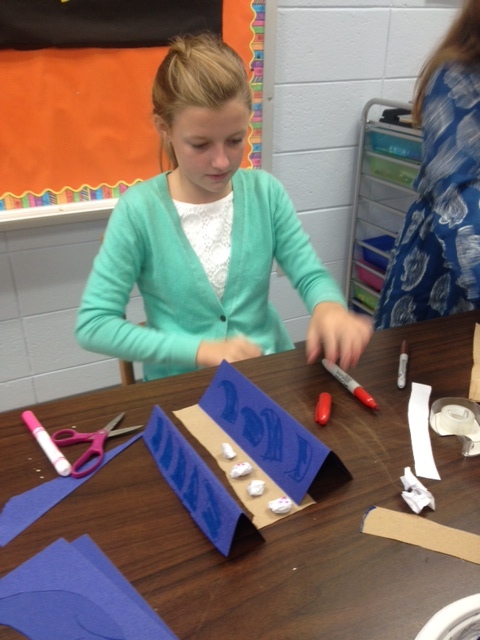 Children could make an instrument like Miriam might have used to celebrate the exodus. Lookhere for an example of a paper plate shaker. Let the children decorate it as they wish. We have paper plates and may have jingle bells, as well, in the art resource room if you want to use them. For more art ideas, check out my Pinterest page, here. 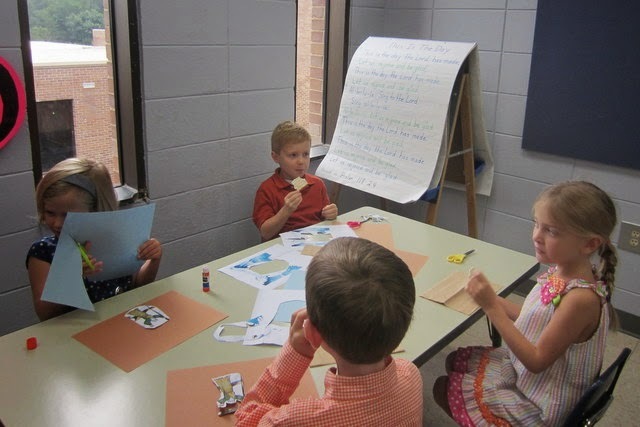 Thanks y’all, for helping our children not only hear the story of the Exodus, but participate in it as well!